On behalf of admin of JML Law, A Professional Law Corporation posted in Product Liability on Tuesday, Apr 24 2018. In a lawsuit which is the first of its kind to be filed within the United States, a product liability suit filed on behalf of an Ohio woman states that her breast implants, which were manufactured by a subsidiary of Johnson & Johnson, contributed to her developing lymphoma. The 45-year-old woman had the breast implants fitted in February 2008, and contracted anaplastic large cell lymphoma, a form of non-Hodgkin’s lymphoma in 2016. The cancer was found after Renee Cashen noticed a lump in her armpit, and required a grueling course of chemotherapy for a condition which has become known as BIA-ALCL, or Breast Implant-Associated Anaplastic Large Cell Lymphoma. The FDA have recently announced that over four hundred cases of BIA-ALCL have been reported to them, with textured implants carrying most risk, based on those cases already identified. Of these 410 cases, 9 women have died as a result of the condition. The product liability lawsuit relating to Renee Cashen’s illness, also claims that the breast implants’ manufacturer, Mentor Worldwide, failed to adequately warn users of the associated risks, nor did they comply with FDA-mandated product safety studies. What is a Product Liability Lawsuit? As explained by our Los Angeles product liability attorney, a lawsuit of this kind can be filed when a person is injured, or killed, by a defective product. 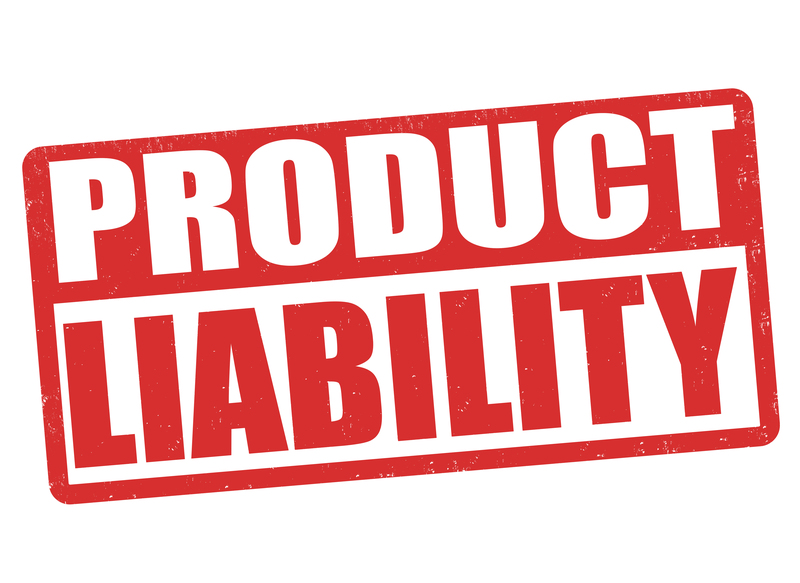 The defective itself may take many forms, but will fit into one of the three categories covered by California product liability law. A manufacturing defect is one which was created during the manufacturing process, where a flaw or mistake rendered the product dangerous to use. To prove a manufacturing defect resulted in your injury, your product liability attorney will need to show that the manufacturer was liable, with your injuries generally sufficing as evidence. Design defects occurs when the overall design of a product was unreasonably dangerous. There are two tests normally used in California courts to determine whether a design defect occurred; namely, the risk-benefits test, and consumer expectations. In brief, these involve comparing the risk of using the product with the reasonableness of correcting the issue. Consumer expectations relate to how a consumer could reasonable expect the product to perform safely. A product liability lawsuit can also be brought on the grounds of the manufacturer or supplier failing to provide adequate instructions to enable safe use of the product, or sufficient warning of any potential hazard. When you consult with a product liability attorney about your case, they will use their considerable experience to ascertain which route is most appropriate. When you buy a power tool, e-cigarette, or any other product, you do so with the expectation that it will be safe to use, providing you use the item as intended. If you have followed all provided instructions and guidance, and used the product in a reasonable manner, only to be injured by it, you may be eligible to file a product liability suit. To discuss your options with an outstanding product liability attorney, call us today on 818-610-8800.